Thomas the Red, the world’s only stand-up comedy viking, conquered Season 6 of the NEPA Scene Rising Talent open mic and talent contest at The V-Spot in Scranton by coming in first place in the Finals Showcase on Tuesday, June 26, so as part of the grand prize, he headlined a night of comedy and music at Karl Hall in Wilkes-Barre on Saturday, July 28. 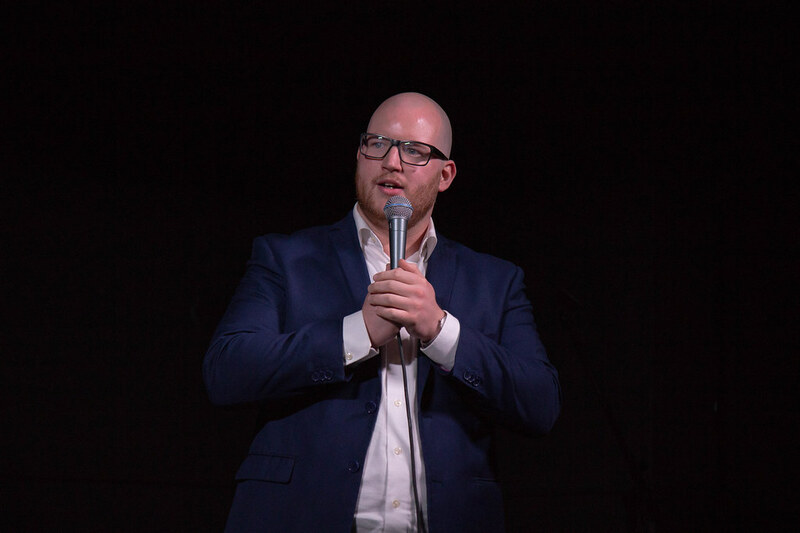 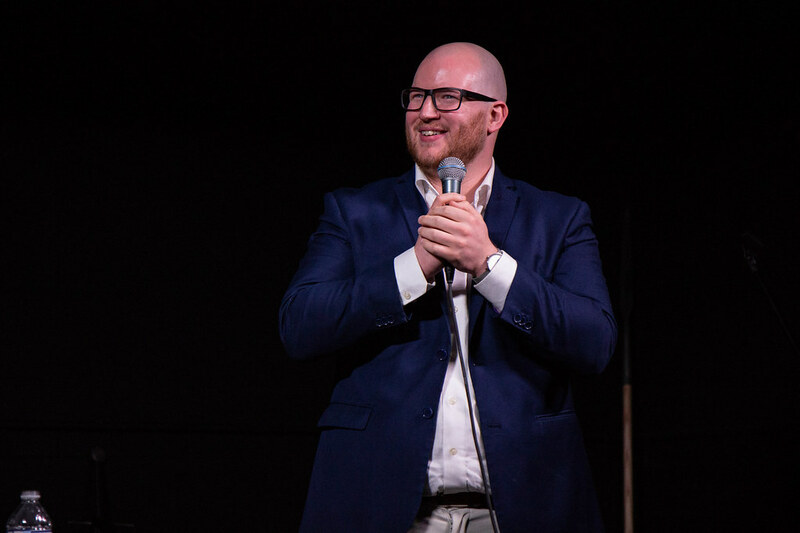 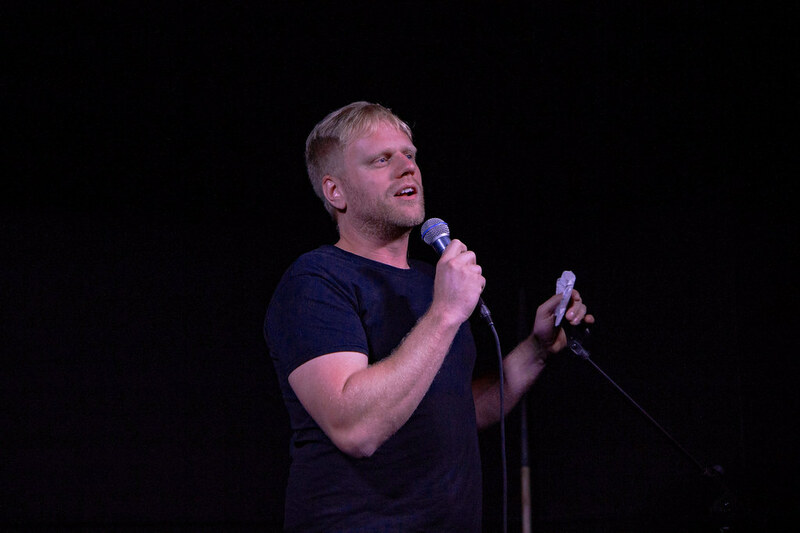 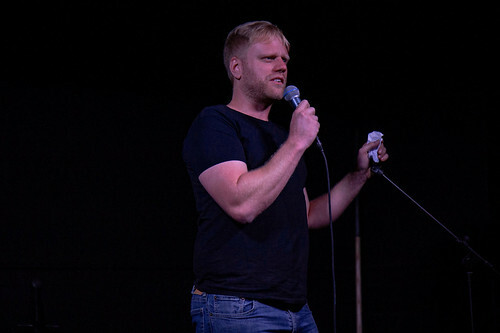 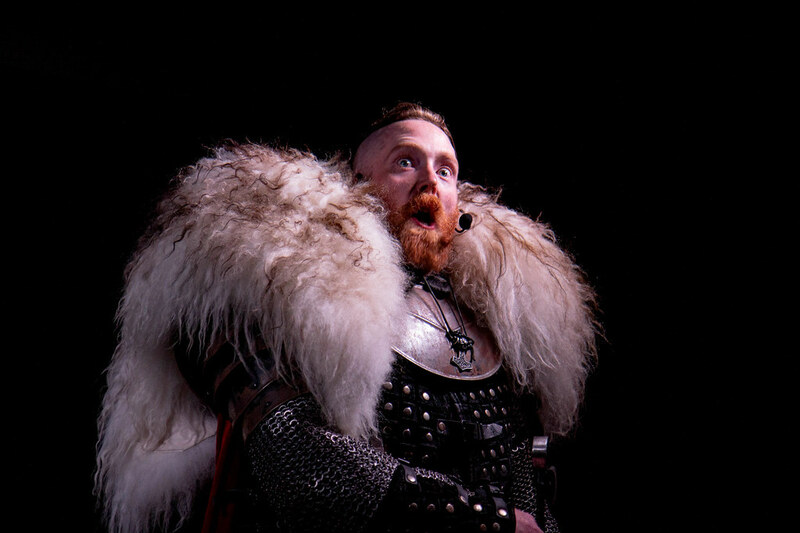 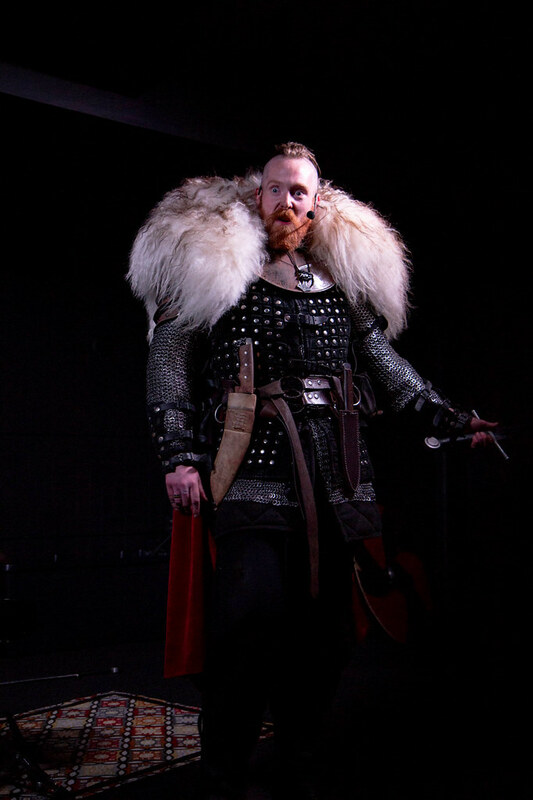 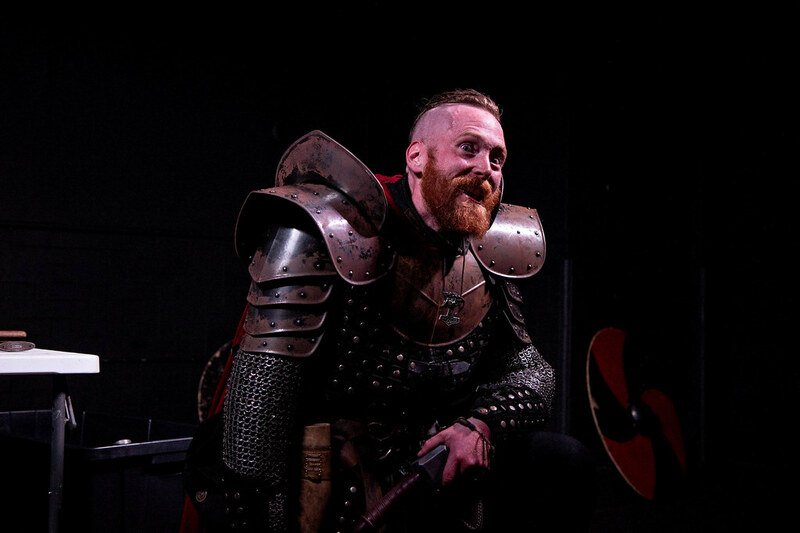 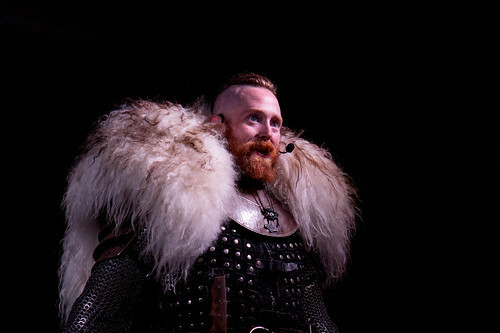 Local comedian Thomas Sigurdsson has worked hard over the past few years developing a unique live performance that combines self-deprecating humor, prop comedy, and plenty of sharp medieval weaponry at NEPA Scene open mic events, where he first tried his hand at stand-up. 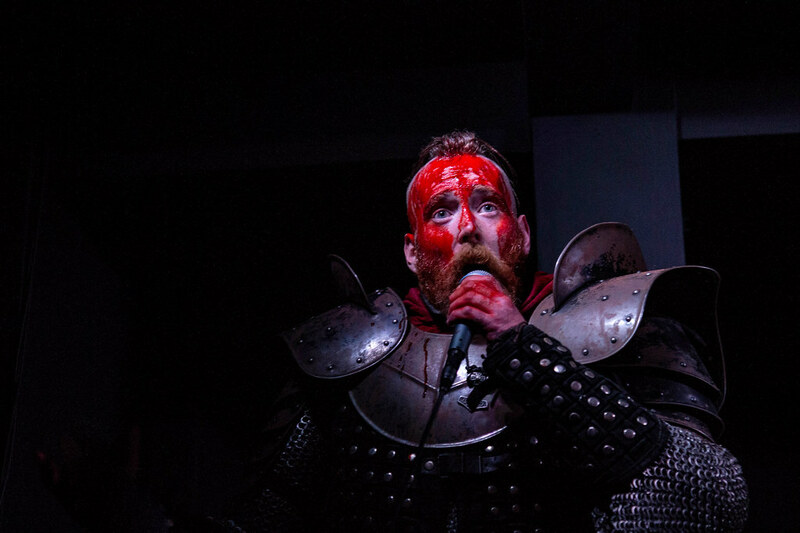 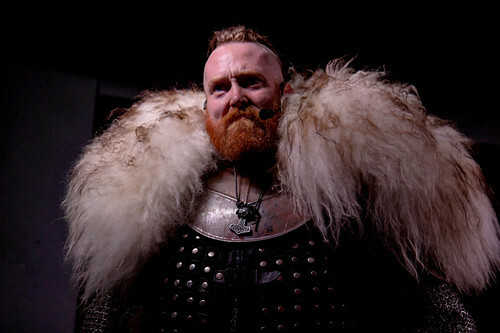 Since transforming into the towering armor-clad gentle giant known as Thomas the Red, he has since gone on to host and headline shows on his own, so he was well-prepared to bring his over-the-top show in all its bloody glory to downtown Wilkes-Barre, marking the first time the intimate music venue has held a comedy show. 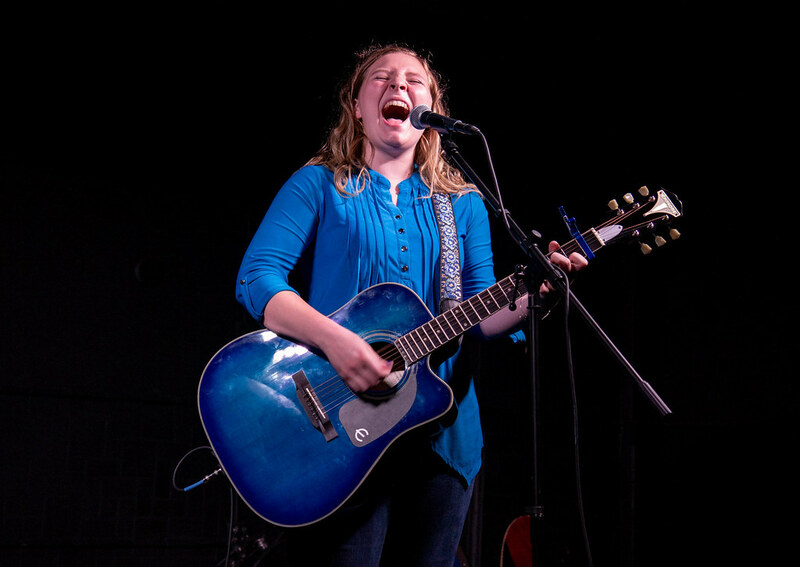 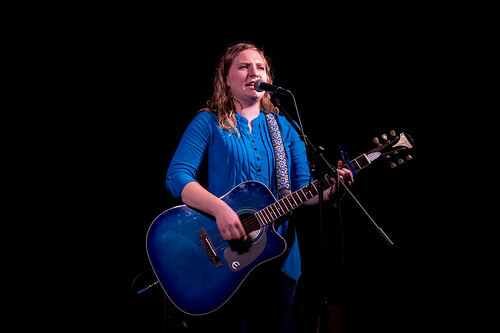 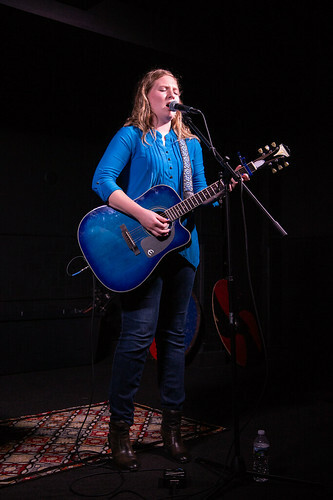 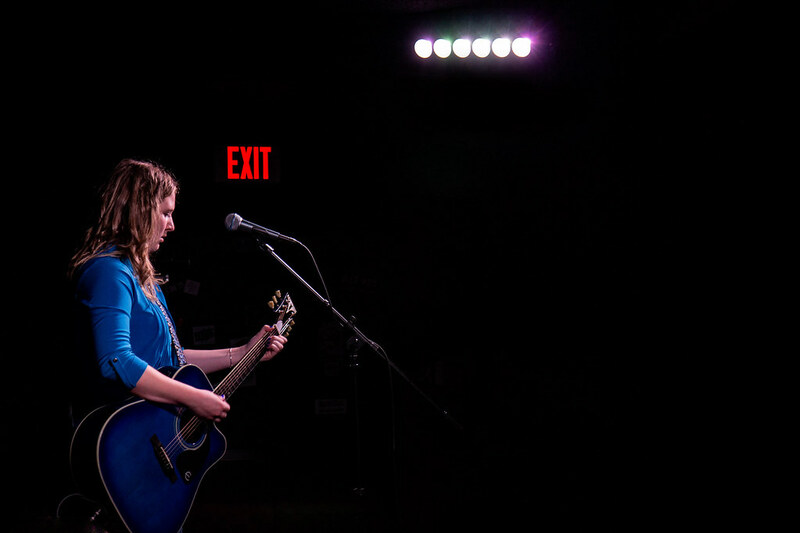 The event began with an acoustic set by young singer/songwriter Ellie Rose, who impressed the audience with her powerful voice that has garnered attention at bars and open mics all over Northeastern Pennsylvania. 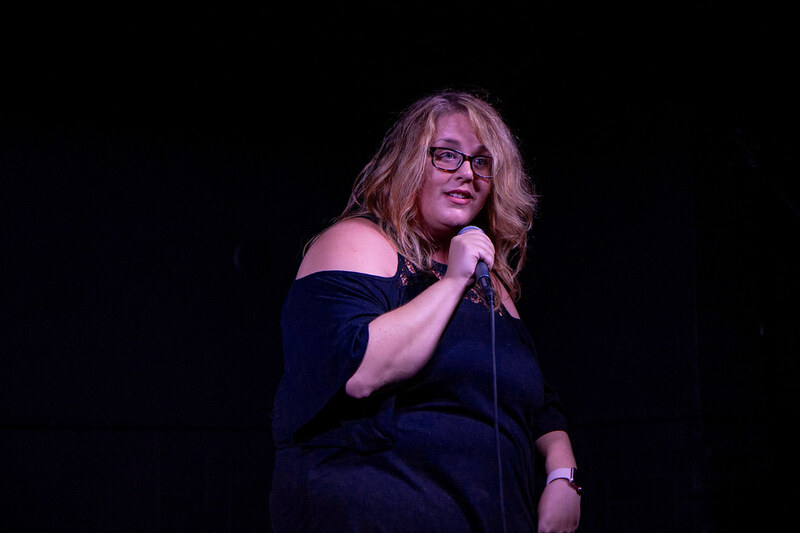 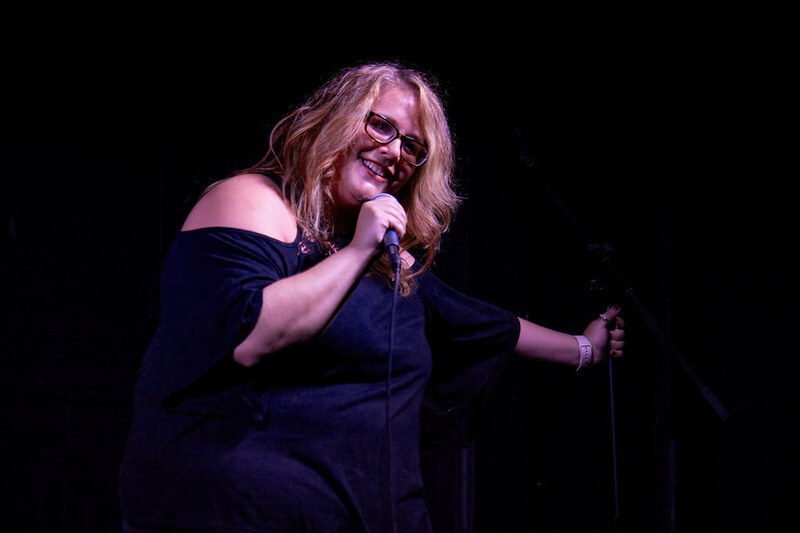 The laughs started with Scranton comedian Angelia Petrillo, followed by the hilarious Jonathan Miles and Joey Tepedino. 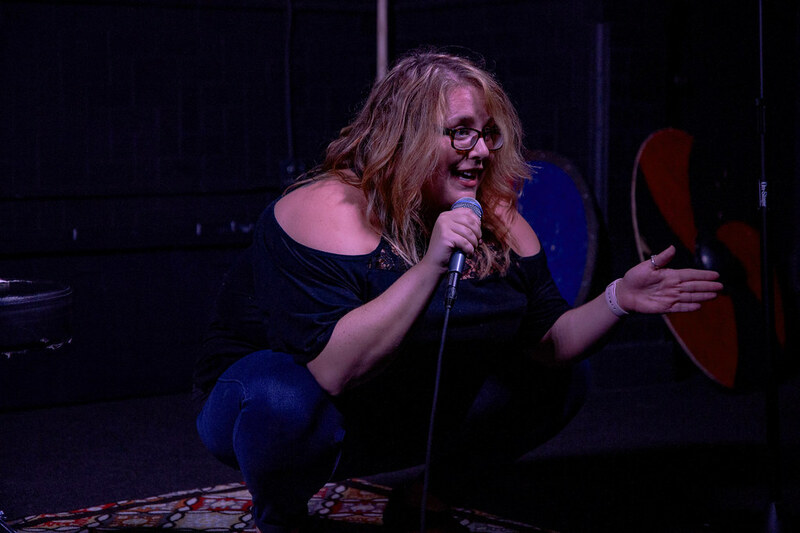 Their honest, raunchy stand-up sets made the place feel like a big city comedy club and served as the perfect warm-up for the oddball humor of Thomas the Red. 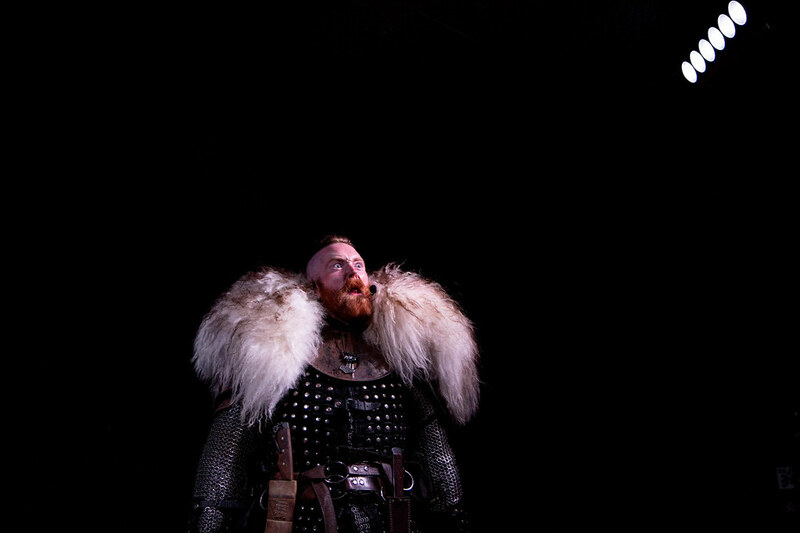 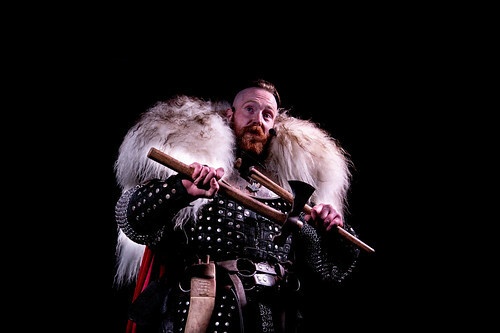 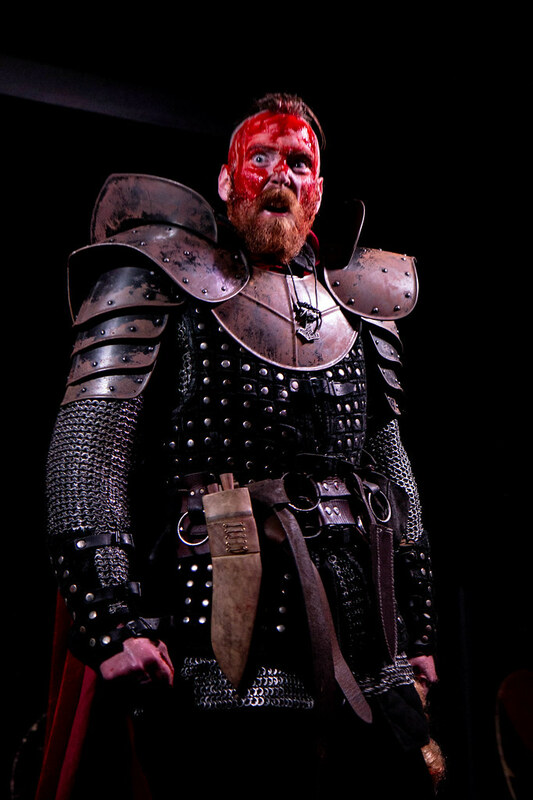 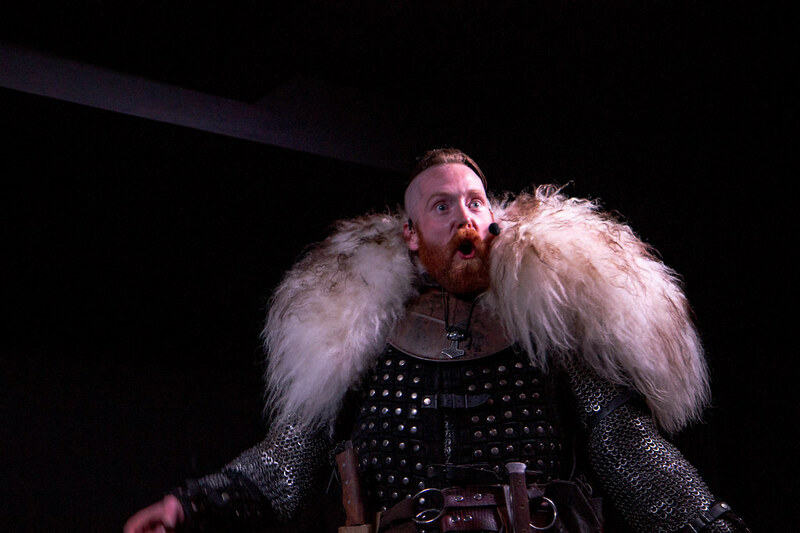 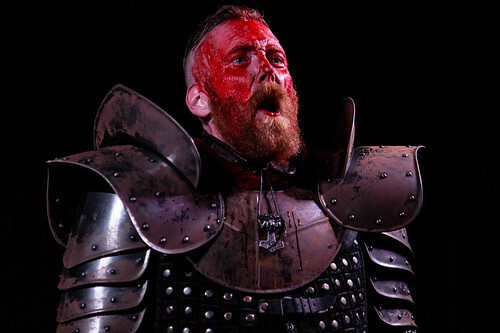 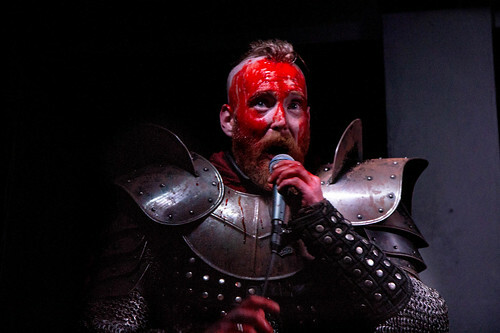 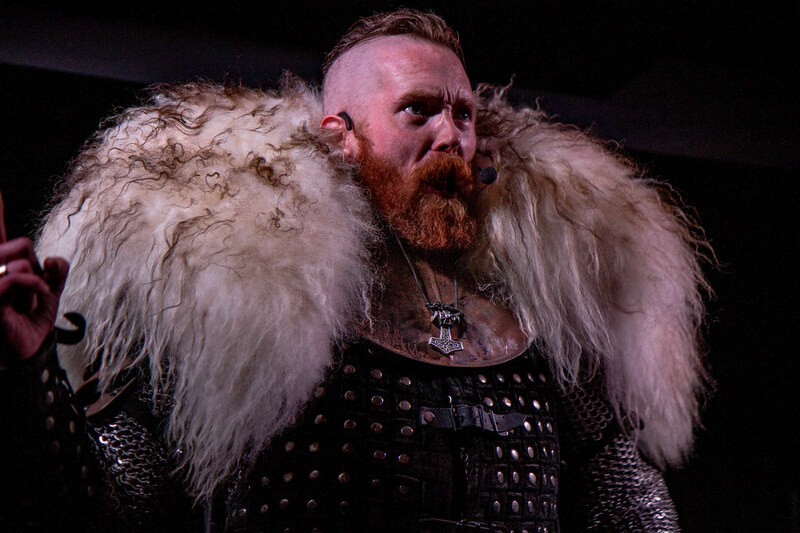 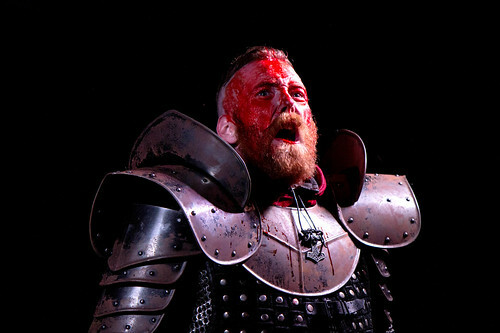 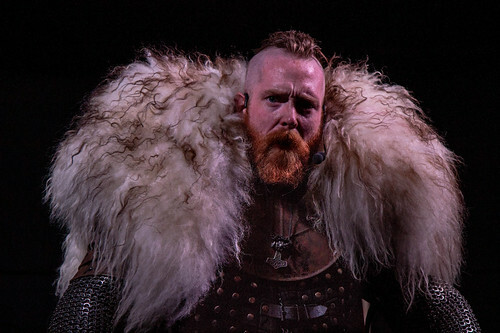 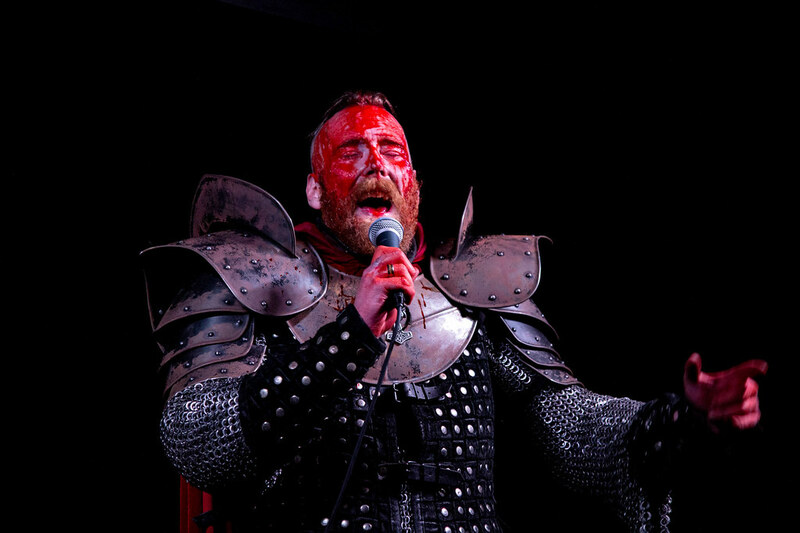 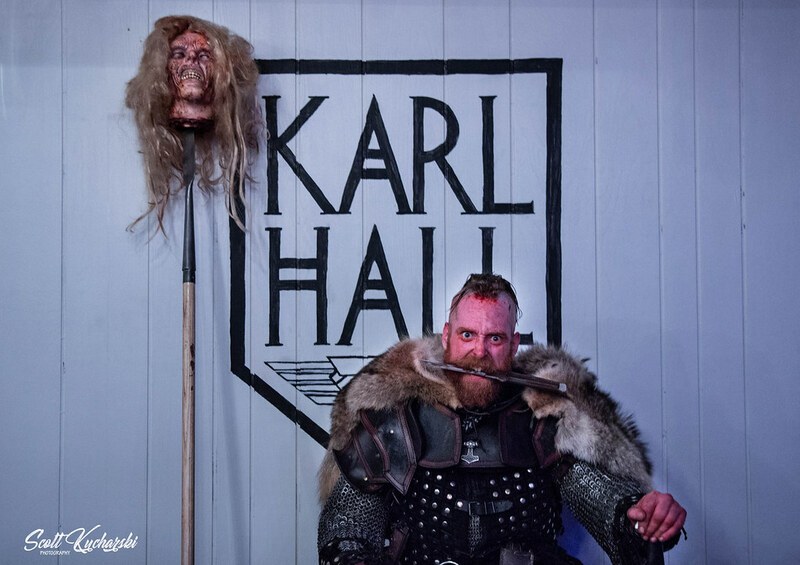 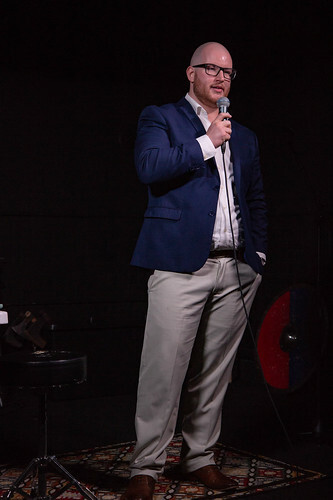 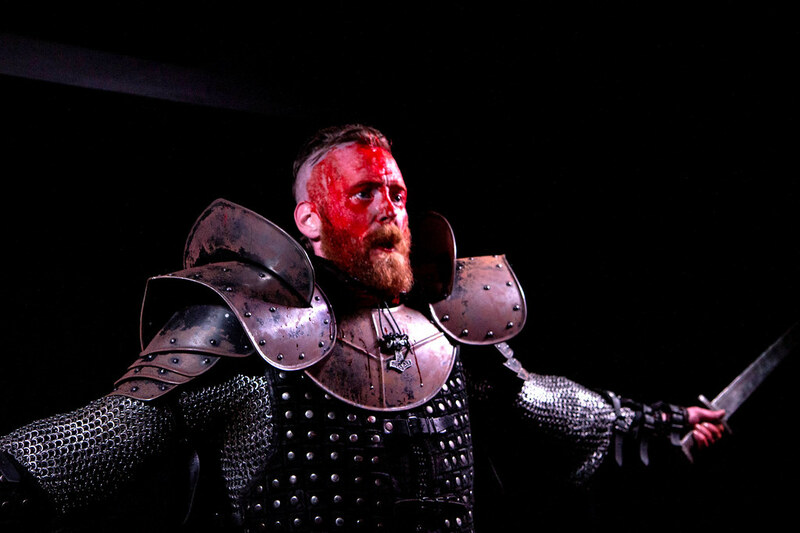 The audience enjoyed jokes about his Amazon Prime addiction, Pennsylvania sword laws, the functions of his various weapons, “stupid questions” he gets from strangers when walking around in his heavy armor and animal pelts, and more before an off-stage battle that covered him in stage blood. 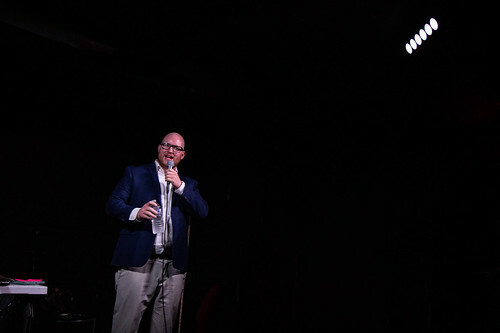 He concluded by singing his own parody of “A Whole New World” from Disney’s “Aladdin,” describing gleeful mutilation in an angelic voice aided by his seasoned karaoke prowess. Hosted by NEPA Scene and sponsored by Samuel Adams; LT Verrastro, Inc.; Fireball Cinnamon Whisky; After Image Studios; Karl Hall; and The V-Spot (906 Providence Rd., Scranton), NEPA Scene Rising Talent takes the format of an open mic night and turns it into a friendly competition. This free weekly event gives up-and-coming and established local musicians, comedians, poets, actors, performance artists, magicians, dancers, and more the chance to showcase their talents and meet other artists while rewarding the best standout acts with prizes and publicity. 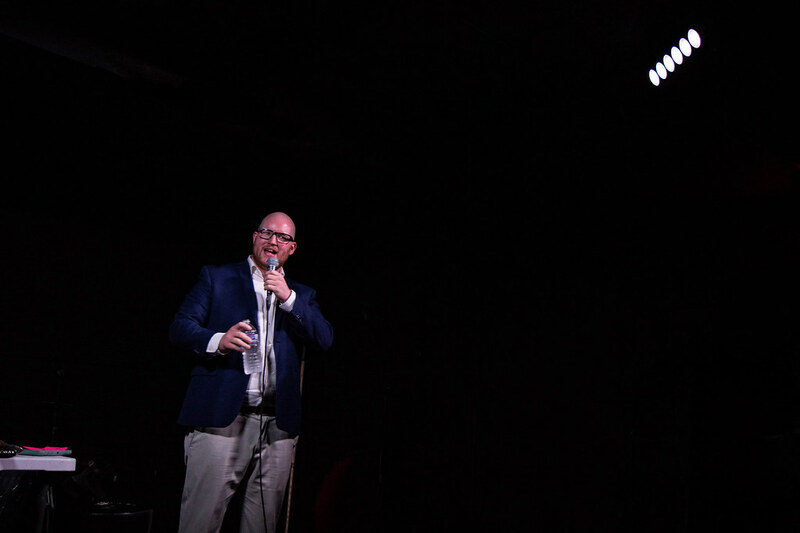 A new season of Rising Talent featuring a brand new format will begin on Tuesday, Sept. 4 at The V-Spot (906 Providence Rd., Scranton).